The Supreme Court of the Russian Federation confirmed the legality of the decision by Rospatent to invalidate legal protection for the “Black Russian” trademark. As was previously found, the trademark registration in Russia has been made on June 10, 2013 in the name of a Dutch company Berklee Capital S.A. and covers “alcoholic beverages, namely cocktails” under the 33rd class of the International Classification of Goods and Services. The grant decision was opposed by TSN Brands LTD on April 20, 2015 by filing an objection with Rospatent in a protest against granting legal protection to the trademark. On December 29, 2015, the Russian Patent and Trademark Office agreed with the objection and suspended legal protection of the trademark. According to Rospatent, the “Black Russian” designation is the name of a type of food products – namely well-known cocktails – which does not possess a distinctive ability and thus cannot be used as a trademark. This decision has been appealed by Berklee Capital S.A. to the Russian Intellectual Property Court (IPC), and later to the Supreme Court. The Russian Intellectual Property Court in December 2016 confirmed the legality of Rospatent’s decision to invalidate the Black Russian trademark. Thus, the court rejected the cassation of Berklee Capital S.A. on the findings of IPC as the first instance. The Dutch company appealed to the court to challenge the decision of Rospatent. 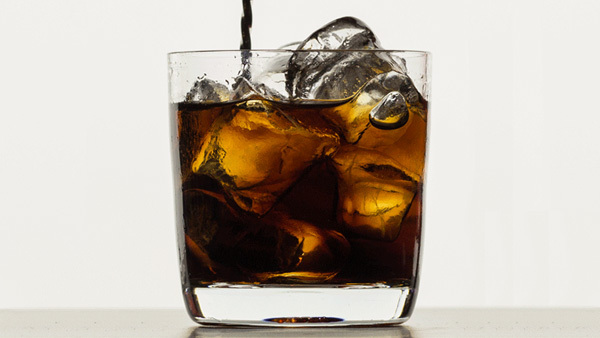 The Russian Patent and Trademark Office found that the Black Russian designation was coined long before the filing date as the name of a cocktail consisting of vodka, coffee liqueur, and ice. At the same time, both Black Russian and its Russian translation (“Черный Русский”) is used as the designation of the drink. Rospatent has noted that the description of the classic proportions and the recipe of the cocktail are found at the official website of the International Bartenders Association, which means that every barman can use them freely. Despite the fact that the cocktail compositions can have different ingredients (in some versions it is mixed with Coca-Cola to reduce the alcohol contents), the base has always remained the same, that is, in any case it is a mixture of vodka and coffee liquor. On the basis of an information letter by the Russian League of Bartenders, Rospatent has found that Black Russian / “Черный русский” cocktail is included in the list of official cocktails by the International Bartenders Association and has been known since 1949 and later appeared in Russia during in the early 1990s. The cocktail is also commonly included as a part of the mandatory bartender training program. Rospatent came to a conclusion that Black Russian is perceived by the inhabitants of the Russian Federation as a certain type of cocktail, produced according to a certain recipe, thus having no distinctive ability, while being used as a designation for certain types of goods. This entry was posted in Rospatent, Russian Patent and Trademark Office, Russian Trademark Opposition, Trademark Registration in Russia and tagged Russian Intellectual Property Court, trademark in Russia, trademark opposition in Russia on February 11, 2017 by Ruspatents. Feel free to visit our website or contact us to receive a consultation on your case. Copyright © 2010-2019 Ruspatents LLC | All Rights Reserved.